BRUSSELS, Belgium -- In 2008, Kaczynski traveled to Georgia in the face of Russia's invasion of that country and said that "Georgia will be first, then Ukraine, and then maybe the Baltic states and Poland." 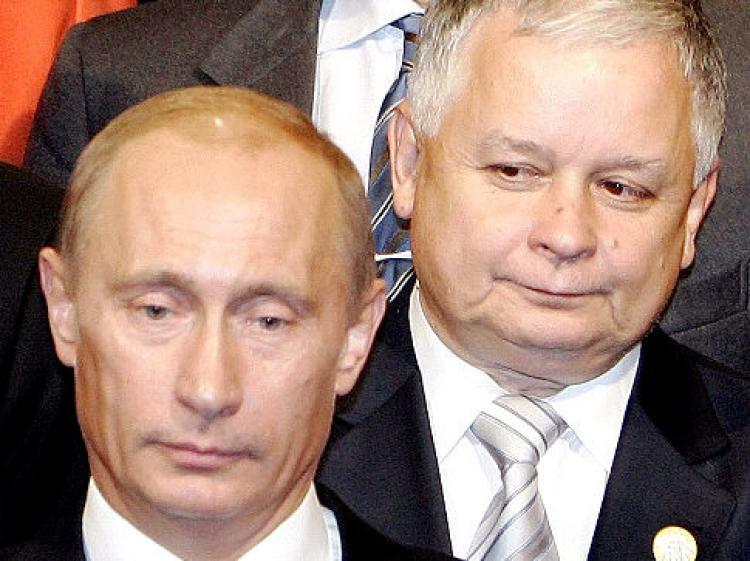 Russian President Vladimir Putin and former Polish President Lech Kaczynski. Former Polish President Lech Kaczynski was right when he warned in 2008 that Vladimir Putin's Russia would attack Ukraine, ex NATO chief Anders Fogh Rasmussen has said. Rasmussen, who was secretary-general of NATO from August 2009 to October 2014, said he was recently going through some old notes from a 2008 NATO-Russia summit in Bucharest and discovered that Putin's statements about Ukraine and Crimea at the time were similar to what he said in public after his country illegally annexed Crimea in 2014, Radio Poland reported. "If the Western defense alliance had taken those statements by Putin seriously back then, perhaps it could have predicted what happened in 2014, when Putin attacked Ukraine," Rasmussen told Polish public broadcaster TVP Info in an interview. Rasmussen noted that the late Polish President Lech Kaczynski warned the international community over Russia's intentions regarding Georgia and Ukraine. In 2008, Kaczynski traveled to Georgia in the face of Russia's invasion of that country and said that "Georgia will be first, then Ukraine, and then maybe the Baltic states and Poland," TVP Info reported. Lech Kaczynski was right about Ukraine, Rasmussen said, but added that the three Baltic states are well protected by NATO under Article 5 of the Washington Treaty, which guarantees collective defense by stating that an armed attack against one member state "shall be considered an attack against them all." Rasmussen also told TVP Info that NATO has deployed troops to the Baltic states and Poland, so Putin "will not dare" to think of attacking any of these countries.